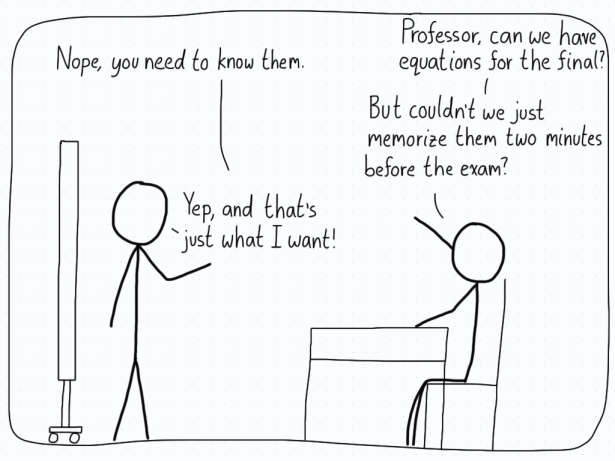 Comics about mathematics, science, and the student life. I understand the need to remember some things, but this tends to come from using the equations, not cramming them into your head right before an exam. I’ve literally made sure I can remember the equations before I enter the room, so that I can write them down immediately. Should students be punished if they can’t do this? Handwaving | Comics about mathematics, science, and the student life.